Enjoy luxury parking from Maple Parking's professional Meet and Greet parking service. Maple Parking Meet and Greet is rated, on average, 4 out of 5 by 164 Airparks customers. You can find the full reviews on our Maple Parking Meet and Greet reviews page. Maple Parking Meet and Greet will treat you like a VIP, meeting you at the airport and taking the hassle of finding a space for your car so that you don't have to. To check live pricing and availability enter your required parking dates at the top of the page and when you're ready to arrange parking at Maple Parking Meet and Greet you can do so through our easy online booking. You can see our full range of parking on our Birmingham Airport Parking page. 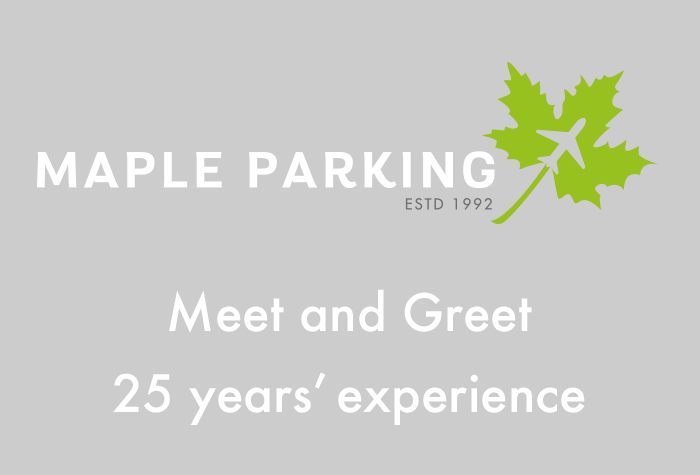 You'll need to give Maple Parking Meet and Greet a call when you are about 20 minutes away so that they can be ready to greet you (the number will be in your booking confirmation). Drive to the Valet Parking car park and take the ticket that the barrier issues you; you'll be met at the car park by your Maple Parking driver. Grab your luggage, hand your keys to the driver and you are ready to go! It's just a short walk away! Simply stroll to departures and get on with your trip. When you get back to the UK and you've collected your luggage just walk back to the Valet Parking car park where the driver will be waiting with your car and a ticket to allow you to exit the car park.